The pediatric cardiology team at Dayton Children’s provides expert care for children with acquired and congenital heart disease. Our physicians, nurses and technicians have extensive experience diagnosing and treating these conditions, and make each patient feel at home in our friendly and cheerful clinic environment. We also provide lifelong care for adults with congenital heart disease, and special services to meet the unique concerns that teenagers with heart disease face. Our team also provides consults for parents whose unborn baby has been diagnosed with a heart condition and preventive care for children who are at risk for heart disease. We offer most of our tests right in the clinic, including pediatric echocardiography. In fact, our echocardiography laboratory provides all forms of this technology, including transthoracic, fetal and transesophageal. It is fully accredited by the Intersocietal Commission for the Accreditation of Echocardiography Laboratories. Learn more about our services and programs. For more information about cardiology care at Dayton Children’s, please call 937-641-3418. To make an appointment, please call central scheduling at 937-641-4000. 02/13/18 | patient story mighty Micah overcomes heart defect Micah Snapp was born with a congenital heart defect. One in 110 people live with a similar defect. 02/23/18 | patient story baby girl Saige fights the odds People told Saige's mom she wouldn't make it to her first birthday. But after undergoing heart surgery, she proved everyone wrong! 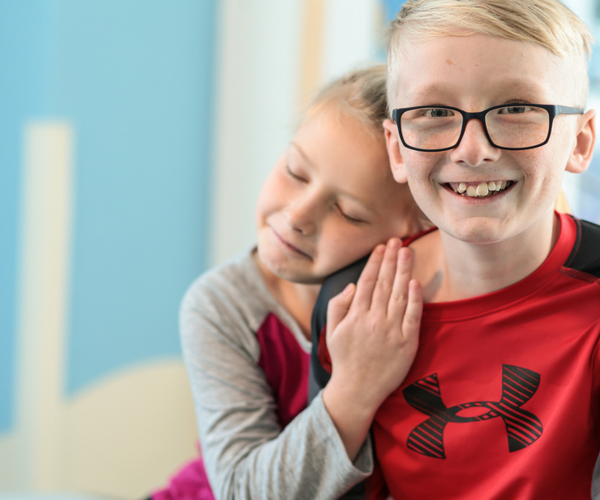 Brayden was diagnosed with a heart condition after his little sister found him in cardiac arrest.